The solution enables customers to receive electronic coupons for purchases at each of the malls participating in the campaign. The leading malls group in the Middle East chose UCS to create a new electronic couponing system for its promotional campaigns across all its malls. 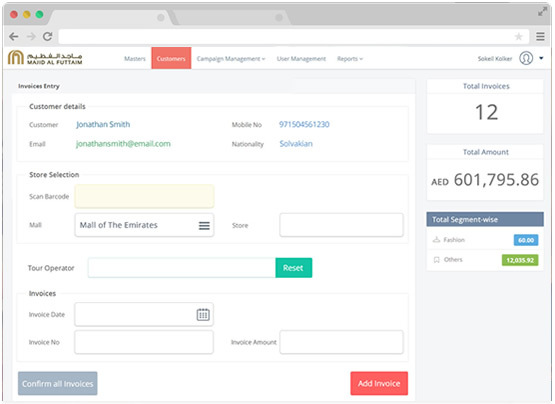 The system provides flexibility and scalability by giving the ability to set up campaigns with varying promotional rules, validations and draws.